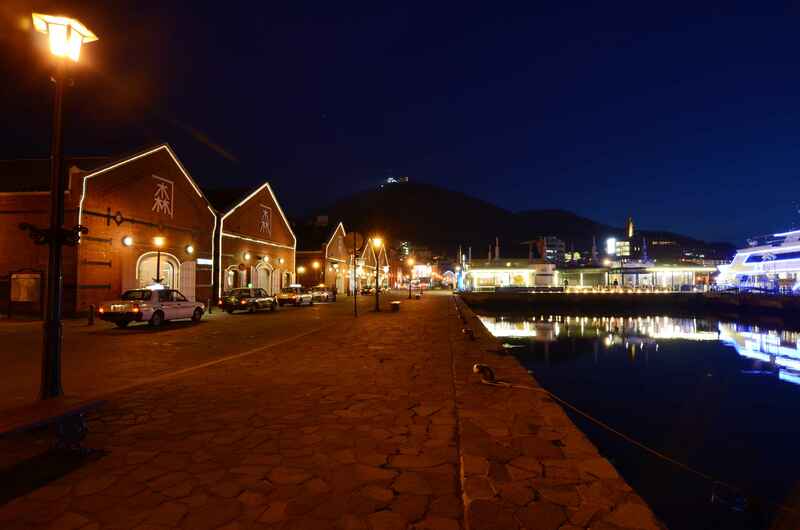 It was interesting for me to juxtapose the two cities and their evident priorities with the implementation of lighting masterplan. 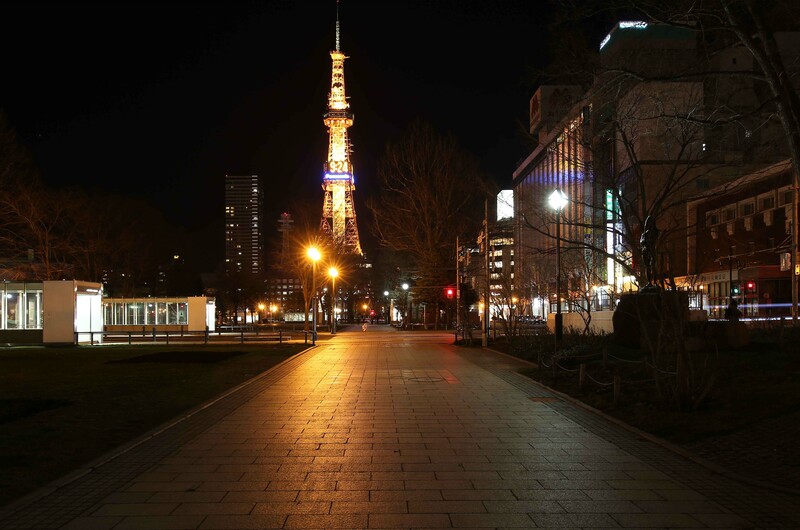 In Hokkaido for the first time, I felt that the two cities were greatly different for their appeal to tourists. 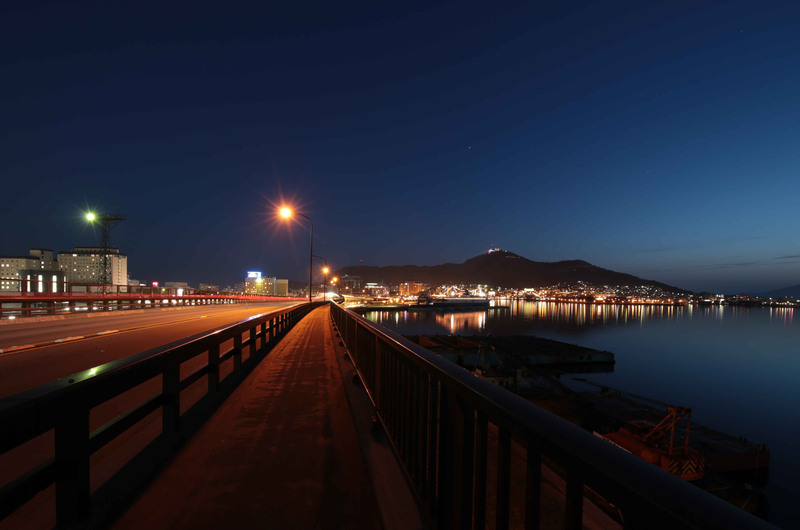 Even though Hakodate’s night view was greatly famed and did not disappoint, Sapporo seemed to be the more popular place to be at night and for its nightlife. 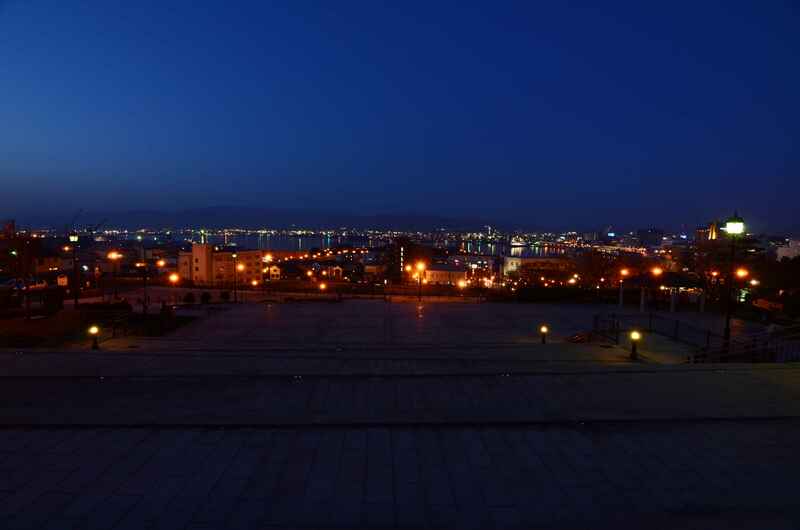 This survey of both cities suggests that there might be a compromise between the balance of two objectives; planning for a potential attraction and planning for functional use. 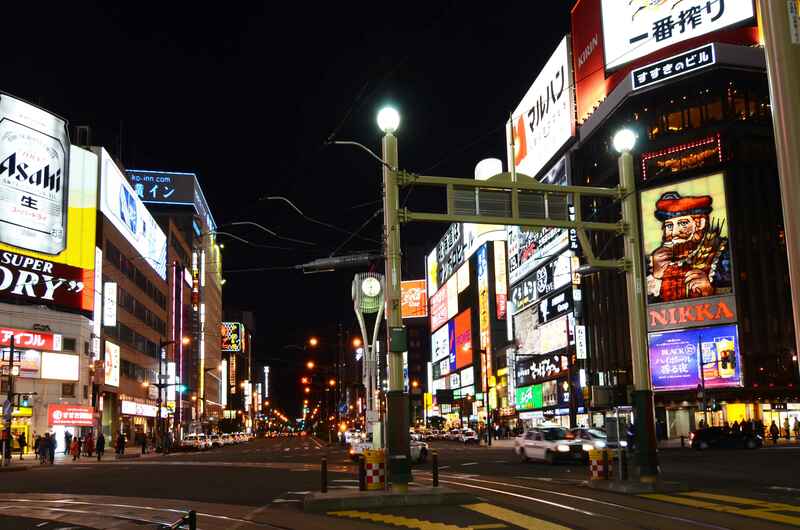 As Sapporo is the larger and denser city, it makes sense to cater to comfort of the people that roam the streets after working hours. 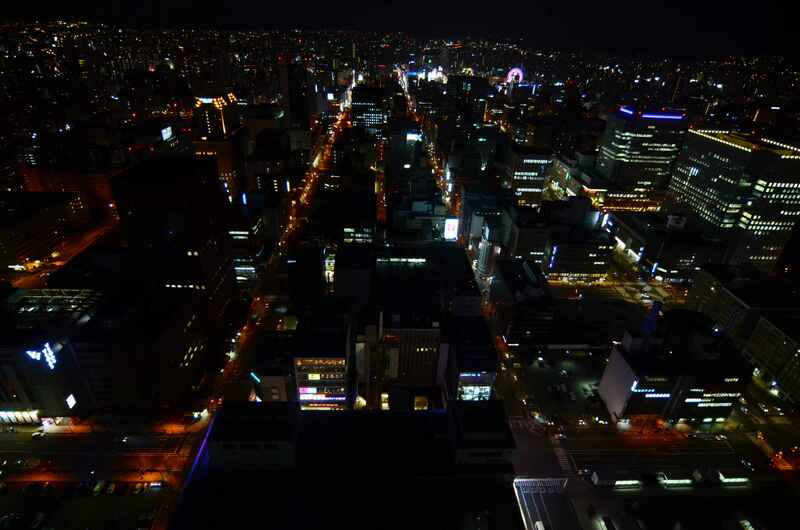 From the junction pictures, you can see that there is more lighting on the floor level in Sapporo in comparison to Hakodate. 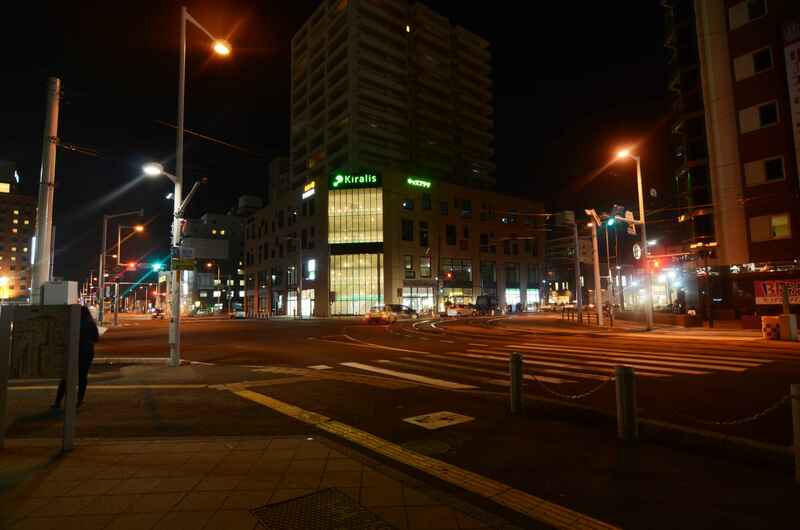 Despite the numerous dotted light fixtures, we felt that the pedestrian pathways and roads were generally darker in Hakodate. 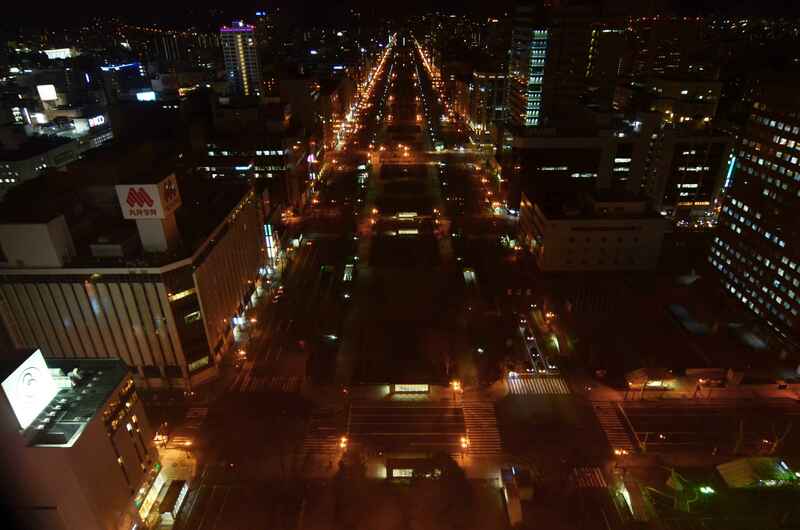 And for Hakodate, turning the nightscape into an economic tool could also be the better solution as most of the streets were empty after 1900h, with major attractions closing by then. 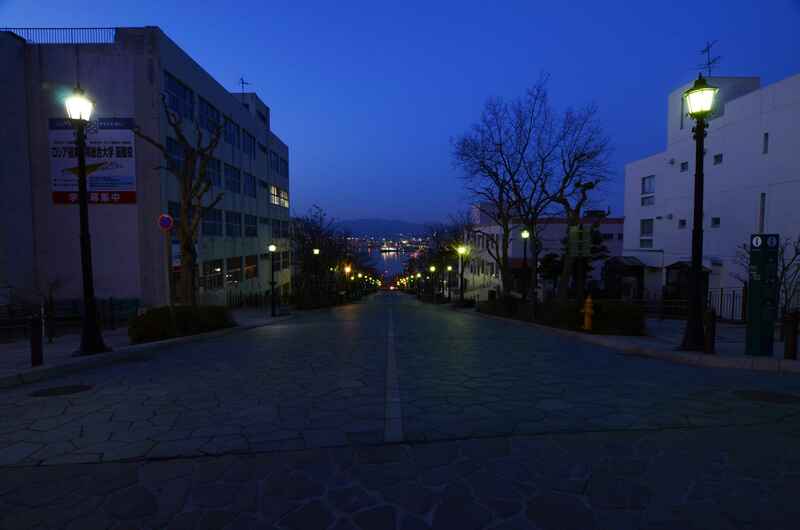 It was also strange that Mt Hakodate was extremely crowded with tourists pouring out of the tour buses, but the streets only saw less than half the number of tourists. 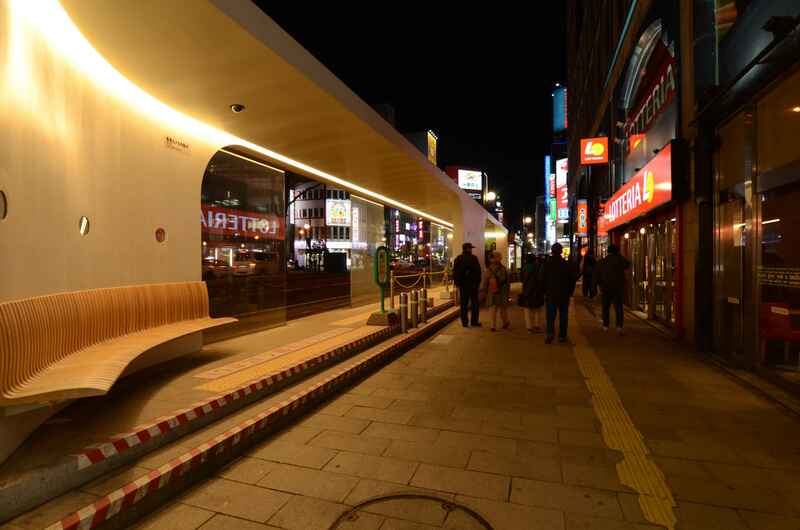 Sapporo catered greatly to safety, visual comfort and an aesthetic component to differentiate areas at street level. 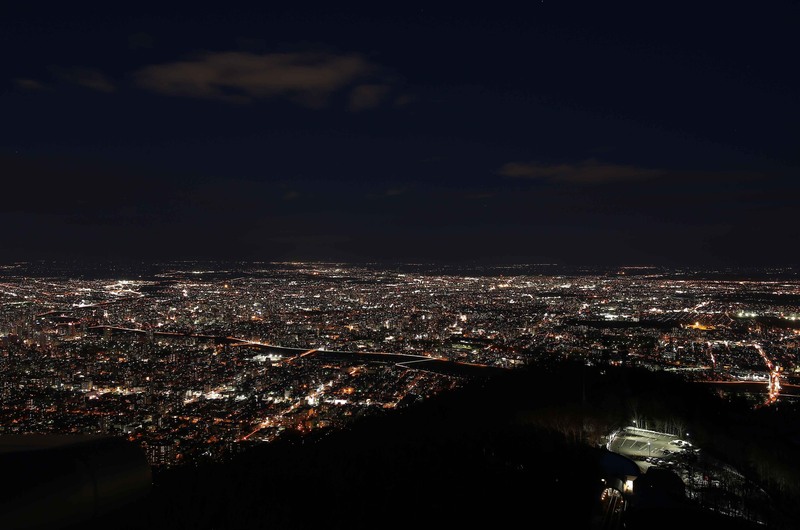 This led to a night-view that is less readable/harder to understand from afar (Mt Moiwa) due to less light visible from that distance and therefore less light pollution. 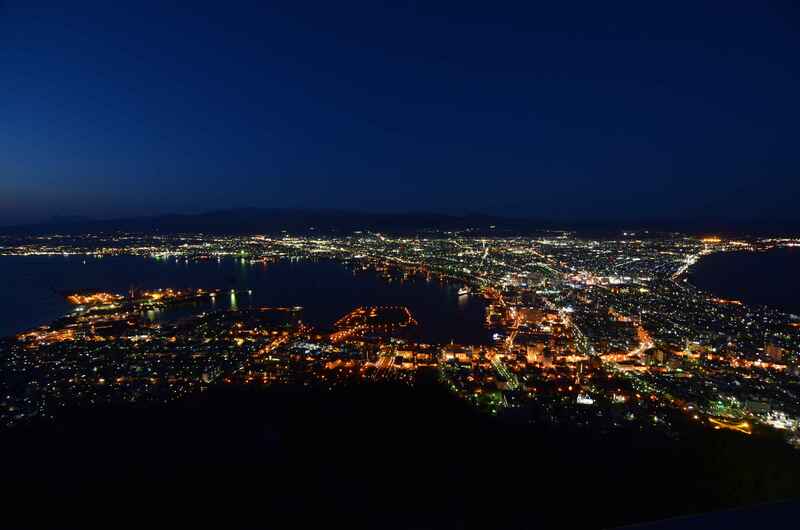 As to whether the lighting in Hakodate was planned for its night-view from Mt Hakodate, there is no concrete proof but statistics shown by the Japan Tourism Board gives it a reason to be so. 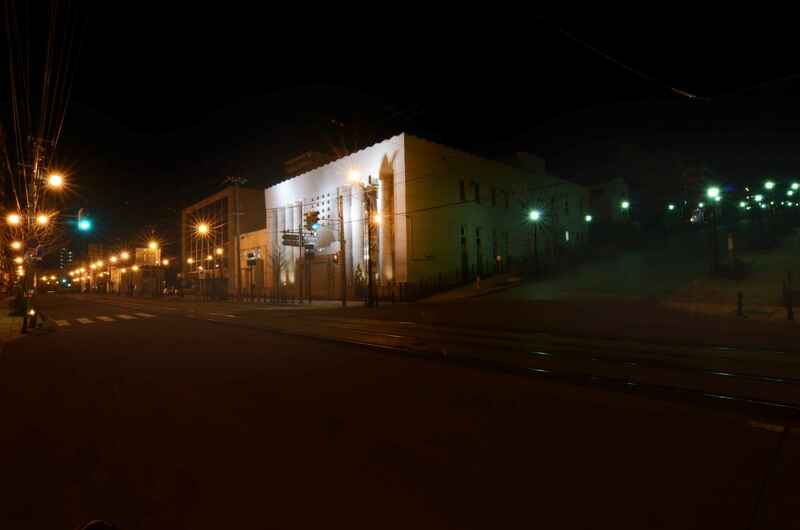 Its attractive night-time view gives rise to more light pollution and glare at street level, hence the impression of its design for the macro view. 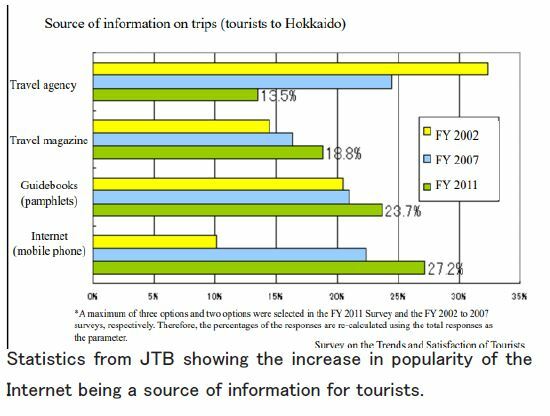 A quick analysis showed that the number of tour packages has declined from statistics provided by the Japan Tourism Board from 39.4% (2002) to 19.8% (2011), the number of tourists in Hakodate has also dropped from 5,311 to 4,108 in those years. 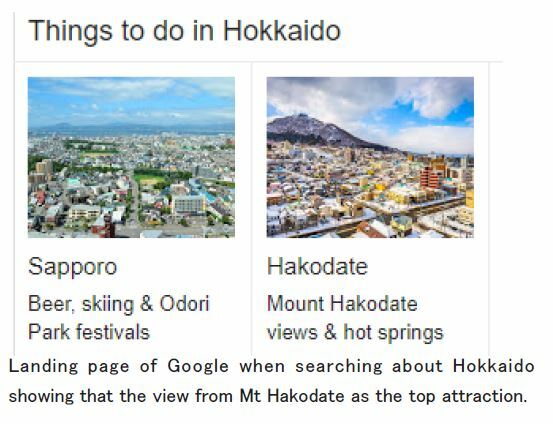 Only in recent years when the first Google search on Hokkaido puts Hakodate and its views as 2nd most popular, did toursim rise back to 5,247 in 2017. The popularity of the internet being the main source of travel information also accounts for the emptiness of Hakodate streets at night as there are no consistent things to do at night other than the night view from Mt Hakodate. 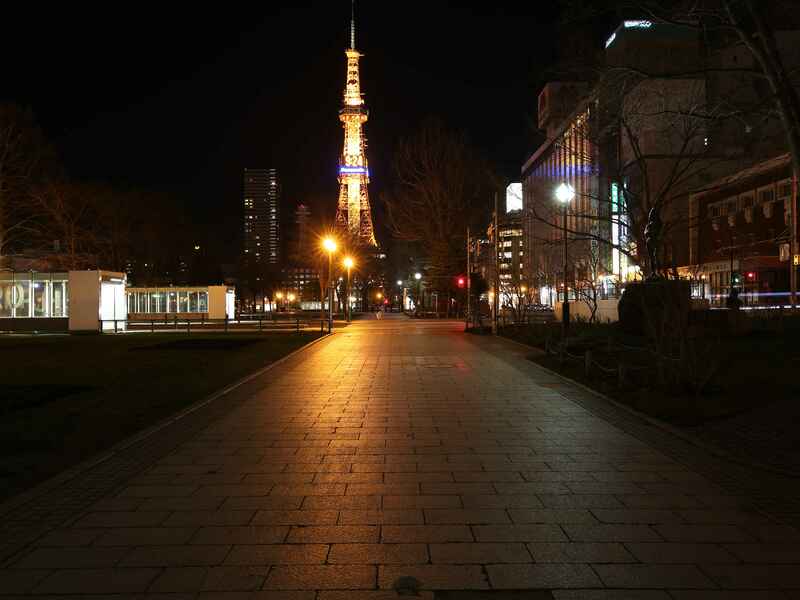 Lonely Planet even concludes it as a sleepy town with night strolls along Motomachi district as an option. 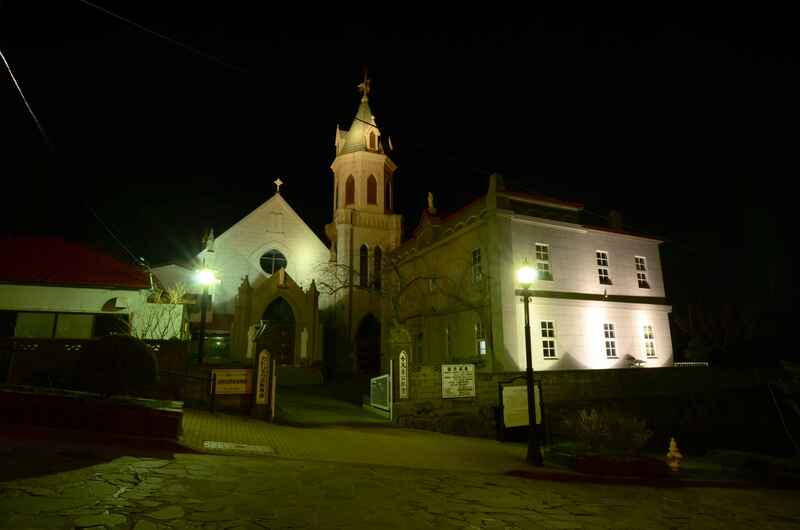 Our survey of the area at night found little to no one despite countless taxis waiting around, hoping for their last ride of the day. 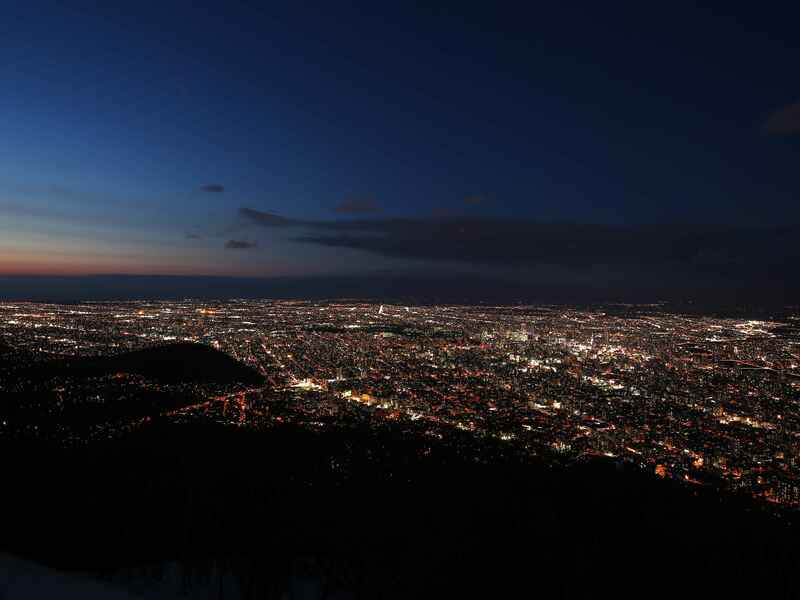 A possible relationship could also be drawn between light pollution and its direct economic impact. 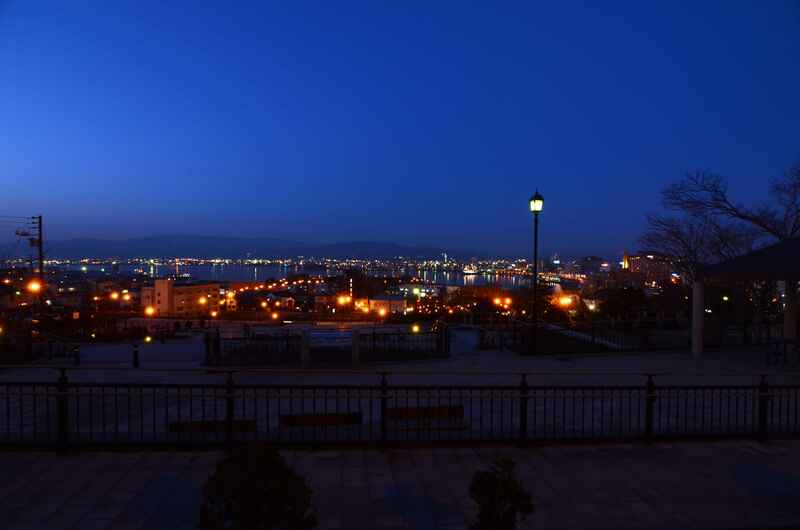 More light pollution can give a more distinct and interesting night view from afar like that of Hakodate, making it an attractive nightscape that people will pay to appreciate, as compared to that when glare is minimal as in Sapporo. 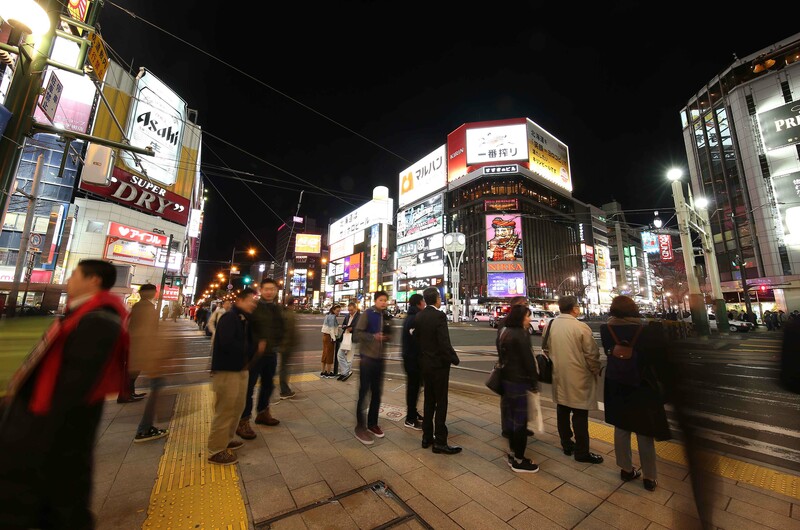 Less light pollution from prioritising visual comfort and the elimination of glare, would give more indirect benefits in supporting people to roam the streets after nightfall in comfort. Geylang Serai is one of the oldest Malay settlements in Singapore. 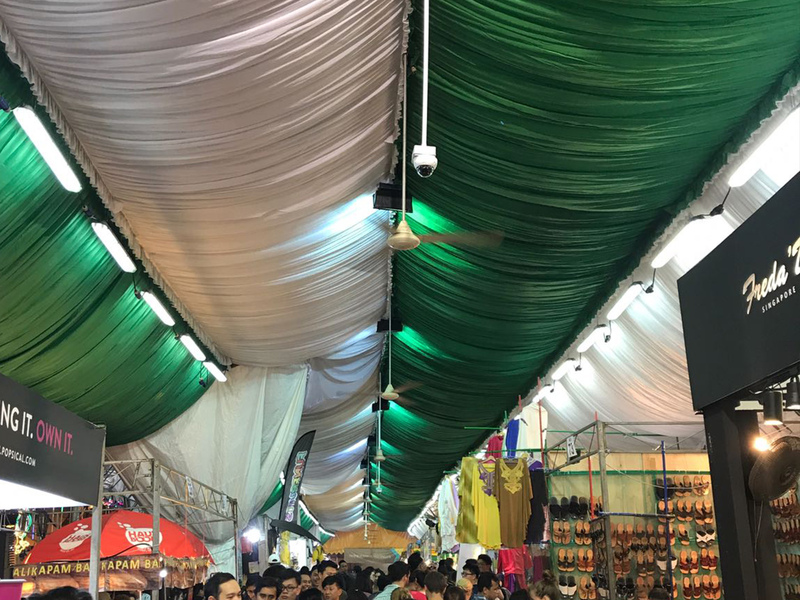 The significance of early Geylang Serai lies not in its architectural features but in its reputation as the Malay emporium of Singapore, known to Malays in the Malay Archipelago including Malaya, Brunei and Indonesia. Geylang Night Walk attendees outside Wisma Geylang! 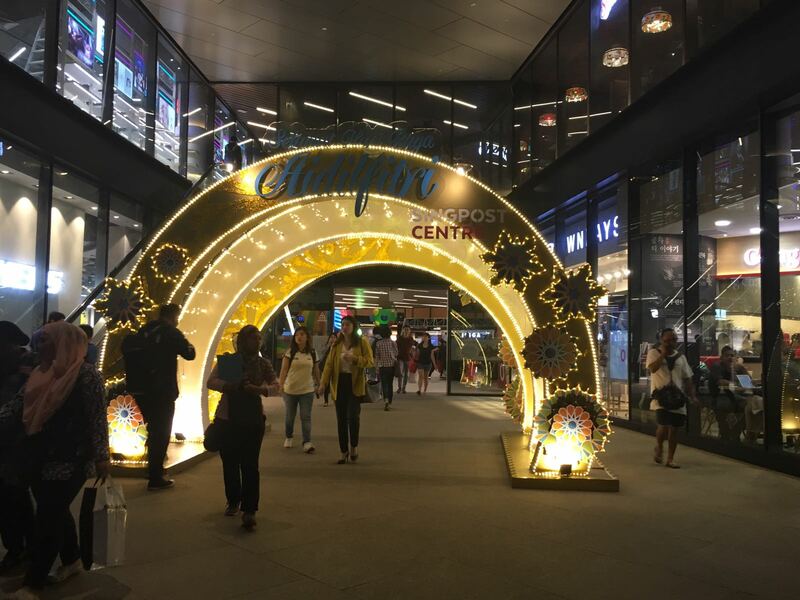 Festive Lighting at the main street between Eunos and Paya Lebar. Gathering attendees at the crowded square outside the MRT station. 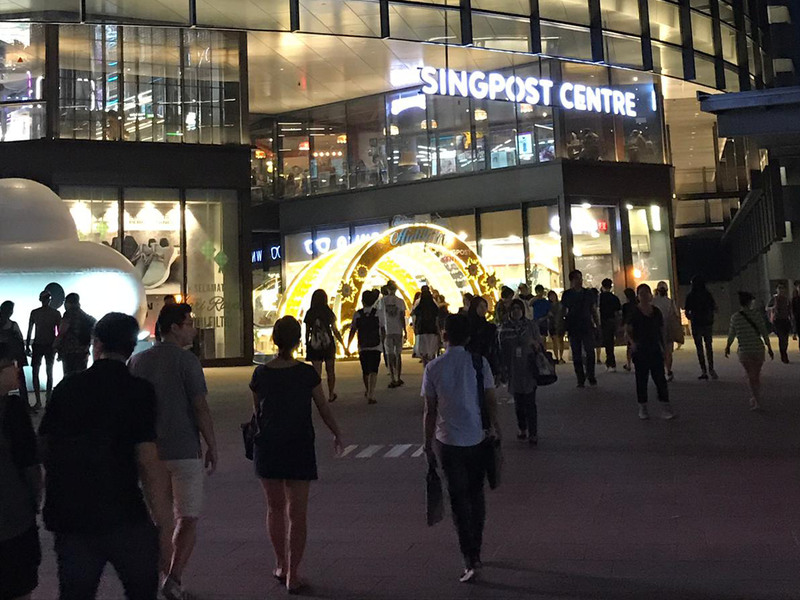 Dark open plaza between two shopping malls outside the MRT station. 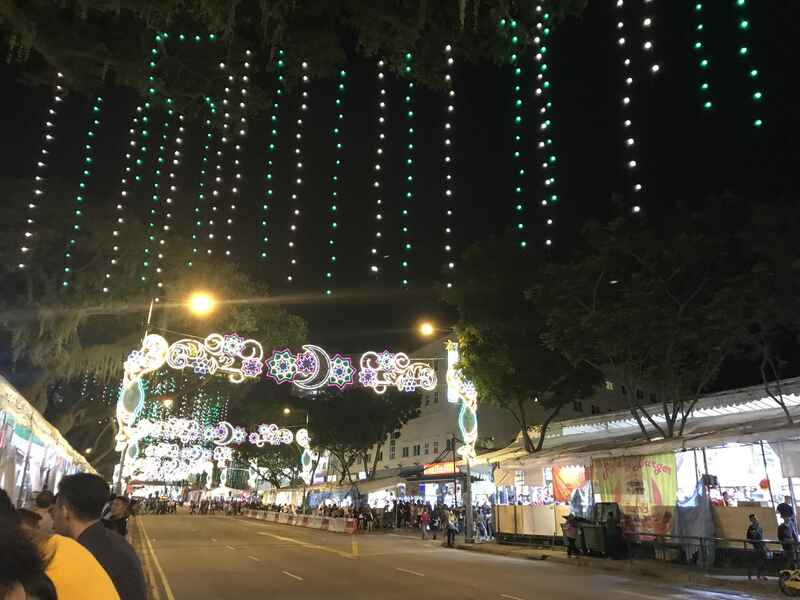 A week before Hari Raya Aidilfitri, Lighting Detectives set out to see what the hustle and bustle in Geylang Serai was all about. The heart of the festival was set in the eastern fringe of Singapore. Boasting more than 800 stalls selling food, drink and wares, this old Malay settlement was swarming with hordes of people soaking in the festivities. 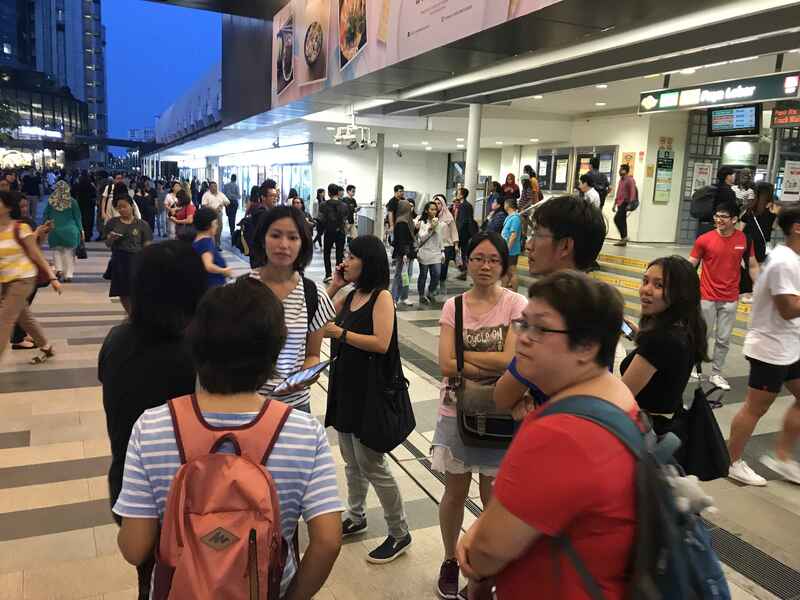 We had 7 participants from the public meet at Paya Lebar Exit A at 1900h on Friday 8th June 2018. It was extremely crowded and we had a tough time looking to gather the attendees. After introductions, we set out to survey the open plaza area between the new malls at the station. 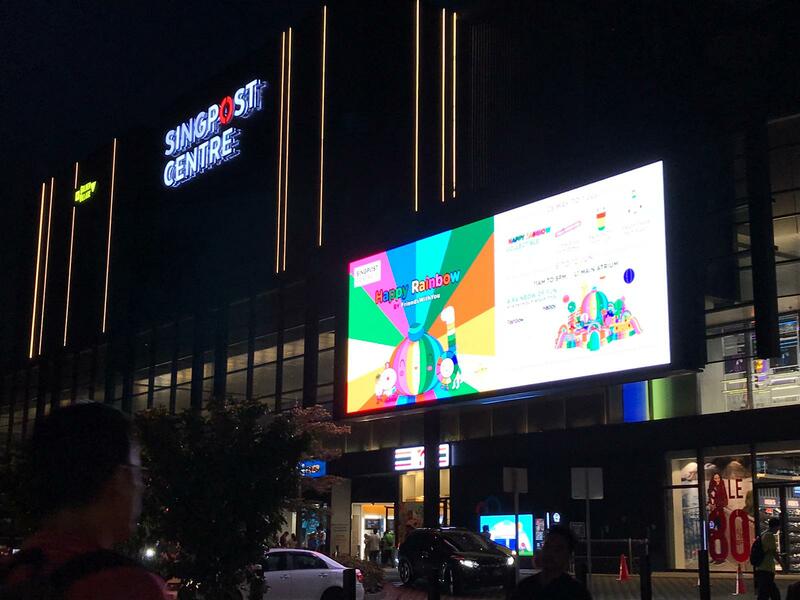 Singpost Center had a structure at the entrance in celebration of the festival, despite it being out of the Malay village. 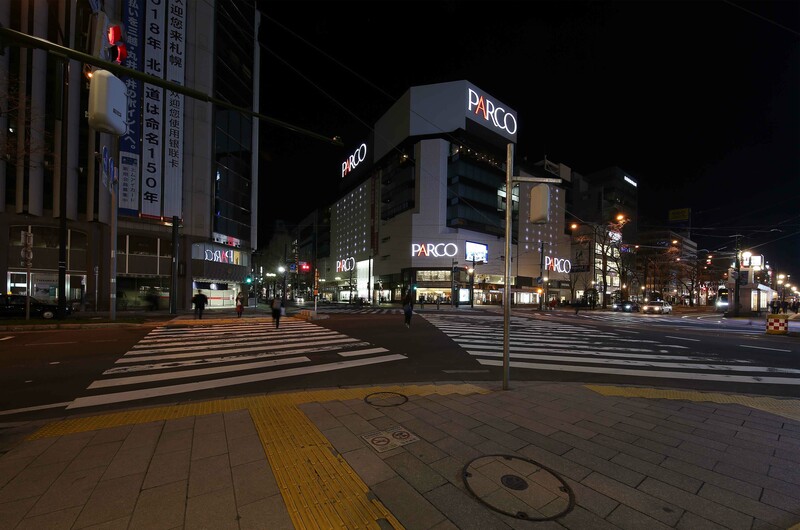 There were no landscape fixtures specially to illuminate the large open plaza, but spill light from the media screens and retail shopfronts were enough to make the area feel safe. The media screen was given a Hero! rating by participants due to its colourful content. 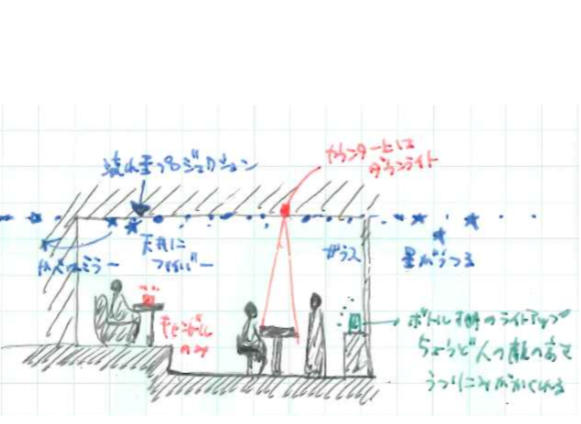 Some festive lighting at entrance of the shopping mall gave the participants different feelings: “out of place” but also “good function as attraction”. 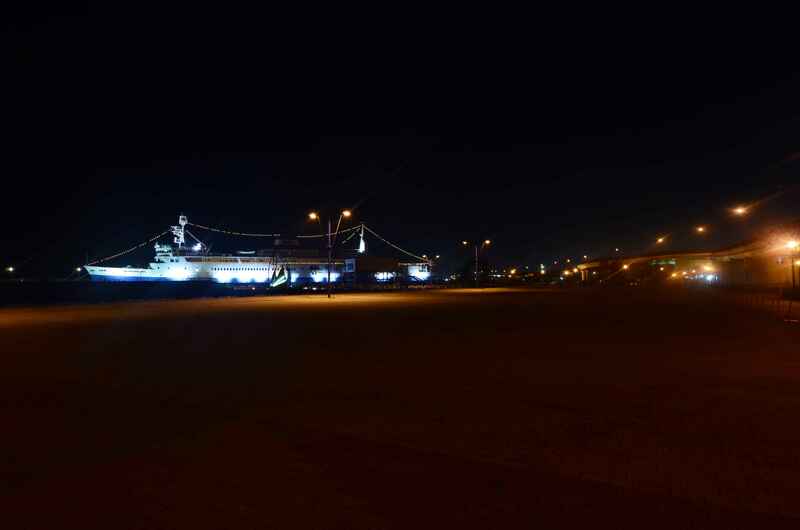 The landscape area leading to the main festive area was full of glary lighting due to landscape lighting as well as floodlights from the adjacent construction sites, making it difficult to keep track of faces in the moving sea of people. 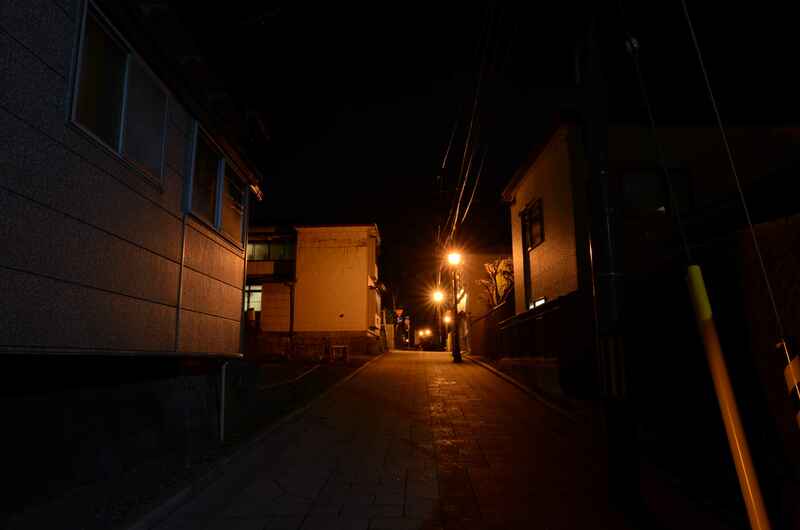 Residential areas nearby also exuded a different vibe despite them being only separated by a road. 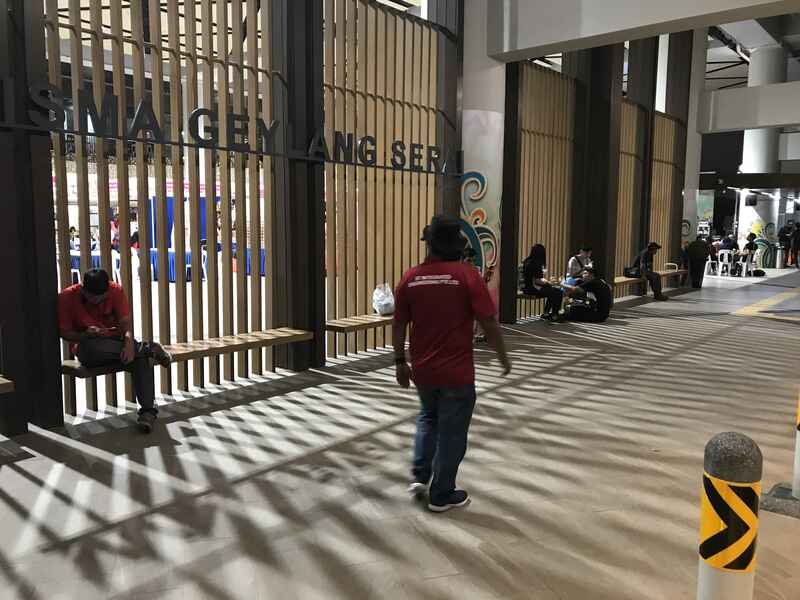 The one closer to the festive area displayed an ethnic coupled with the new cultural heritage hub Wisma Geylang Serai, the entire area was an unfamiliar sight to everyone in the group. We were greeted with a small scale theme park and less crowded tents of stalls. numerous floodlights at the theme park and in the tents. 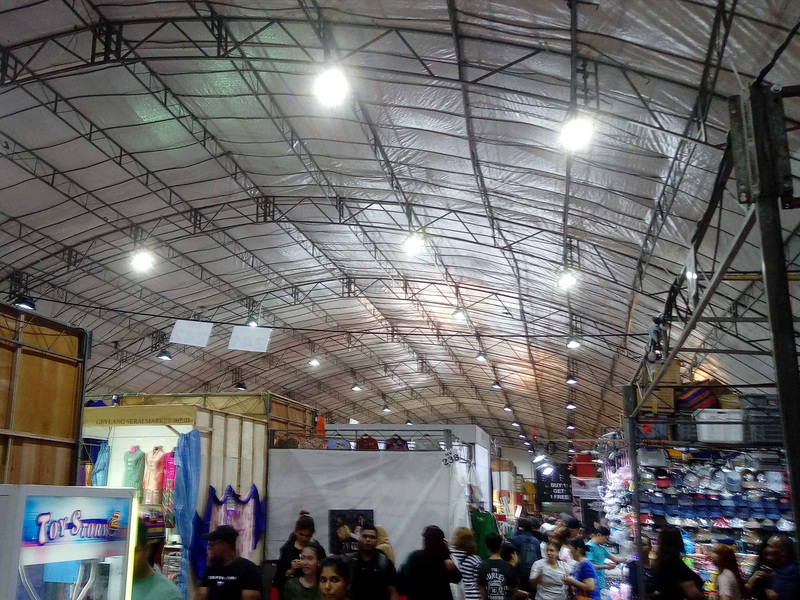 Flood lights from the night market where you can find a variety of foods, products, and amusement rides for kids. 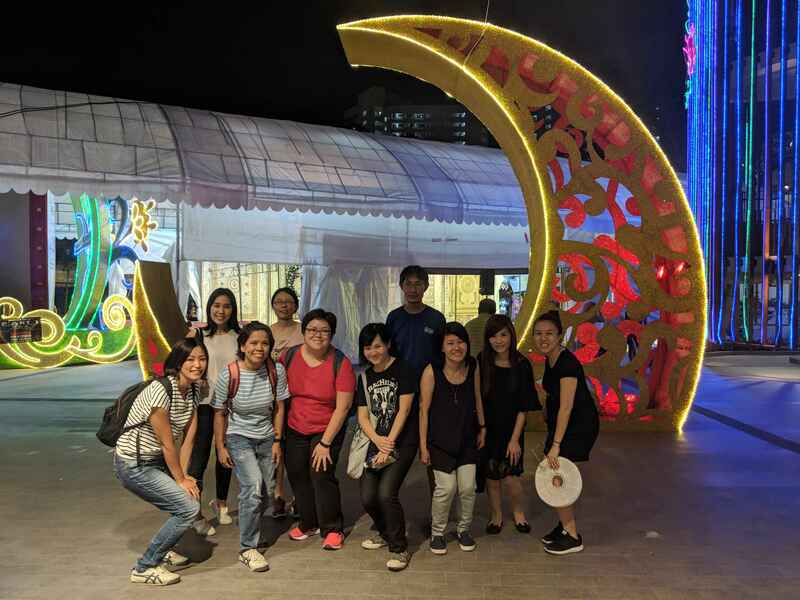 The combination of fairy-lights, moving gobo projectors and architectural lighting all in one area gave it a “rojak” feel as quoted by one of the participants. 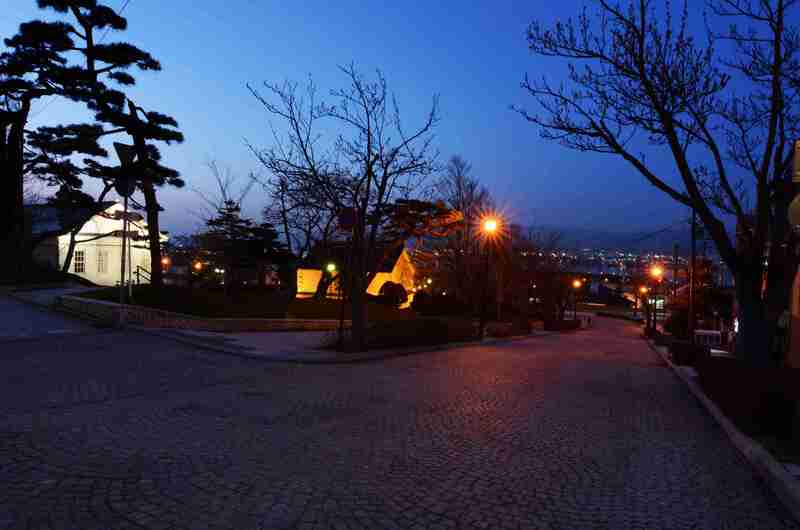 Cheap LED flood lights with white color light was hung in every grid, and give day-like brightness in the market. 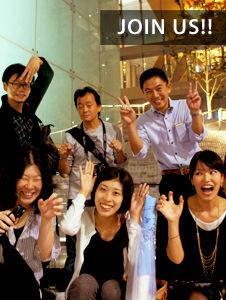 “It used be dimmer and warmer color”, said one of participants, recalling her memory in the past decade. 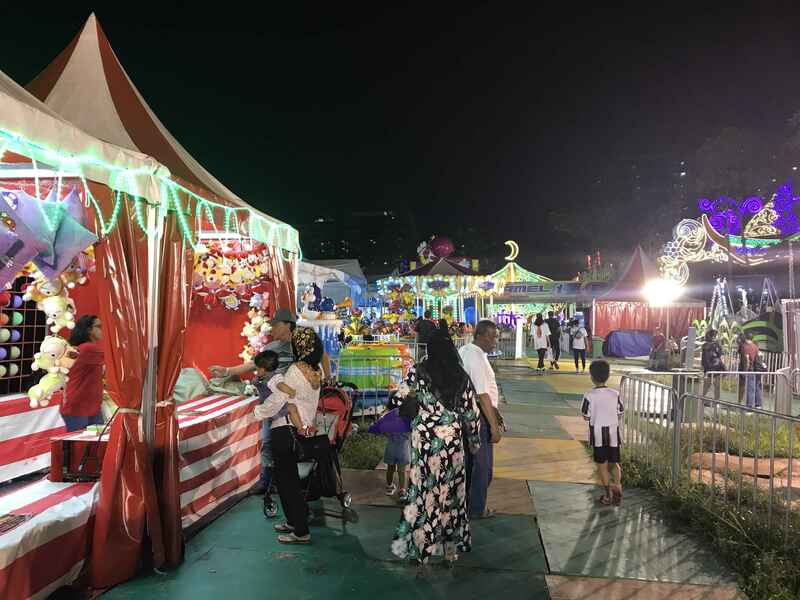 Mini entertainment theme park at the Pasar Malam (Night Market) filled with game stalls, rides and also glary flood lights! 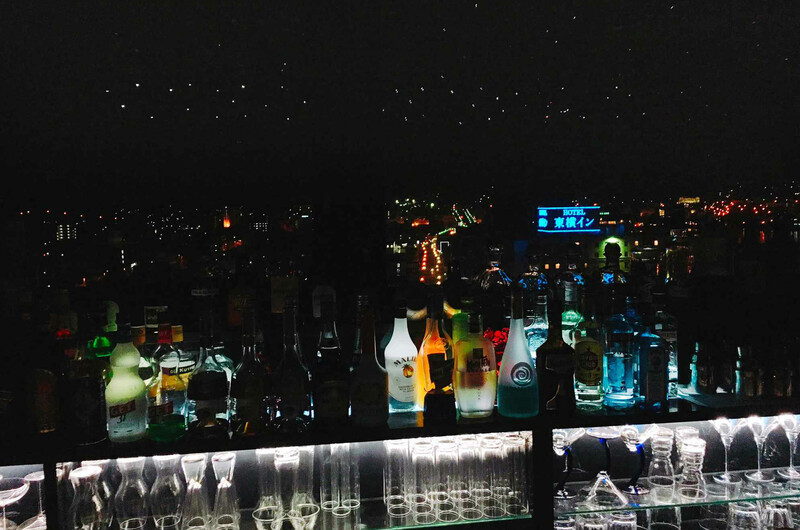 We were very surprised at the amount of light and careless for glare from lighting fixtures. One attendee felt that there were too many white lights under the tentage, making it look dull and serious, whilst Sunyoung thought that the lights complemented the other tent with it was angled to pick up the texture of the draperies. The main street where repetitive banner decorations were spanning emphasised the lively atmosphere for motorists driving through the area. It also served as a cautionary warning for cars to slow down in the event of pedestrians illegally crossing the roads. The unique celebratory ambience was definitely made up of multi-coloured linear lights and spill from the huge tentages set up for the multitude of stalls. Shopfront festive lighting, both a Hero for attractive colours and Villain for irrelevance to the entrance of the mall. 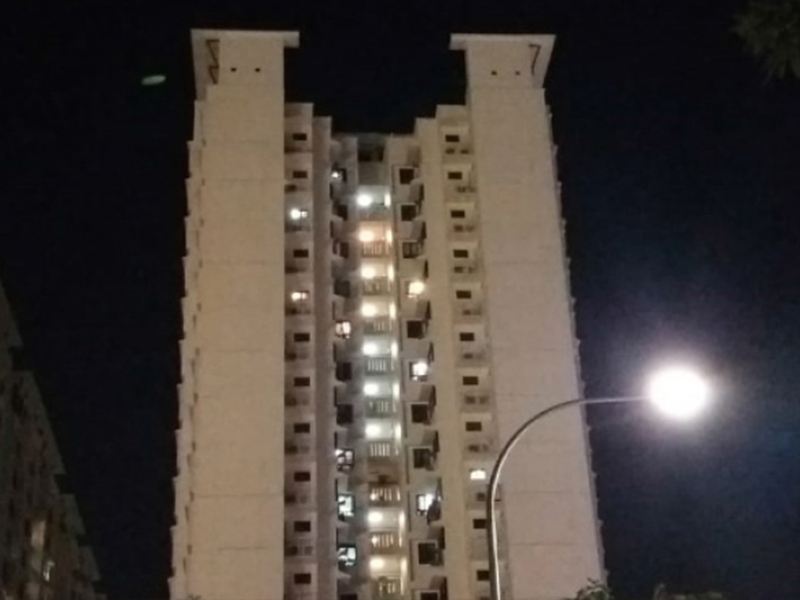 Light spill onto the facade of the nearby residential housing from the night market, Villain! Nice rhythmic pattern made by the shadows of facade fins at the drop-off of Wisma Geylang; Hero! Media screen that lights up the entire open plaza, a Hero! Big tentage with LED floodlights in cool colour temperature, Villain! Combination of LED flood lights and linear LED tube light that becomes a Hero for picking up fabric texture. Lighting Detectives Singapore’s first Salon session in LPA office! 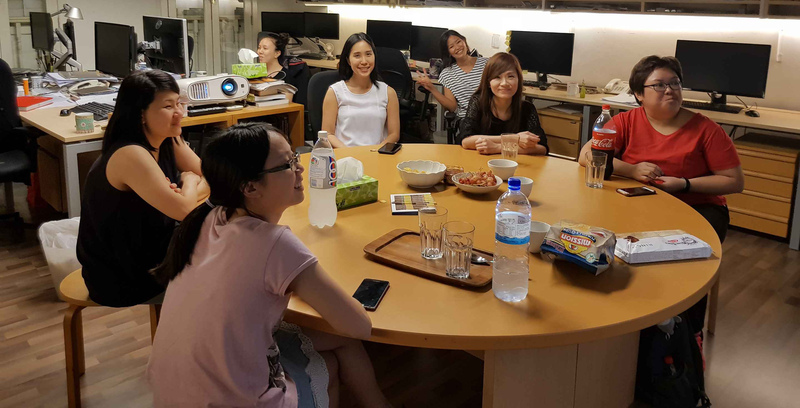 Plenty of snacks and smiling faces! We were a small group of 7 that attended the first salon discussion after the walk! Despite the small number, it was more effective than we imagined. It was a casual but fruitful discussion that lasted for approximately half an hour. Feedback was highly positive and we are looking forward to more Salon sessions in the future!